You surely desire your workers to be participative in their individual tasks as well as be keen to achieve the organisation goals and objectives. A current study performed by the Society for Human Resource Management (SHRM) suggested that 3 essential worker engagement aspects were missing out on in a lot of companies, viz; Training, Professional Development and Overalll Career Progression. There’s more to these challenges than simply having staff members watch each other or take a class online. There’s an incorrect method and a best method to set about finishing the job. A well-thought-out strategy offers your employees with chances and clear instructions on ways to increase their abilities and advance their professions. And with a more evolved ability, they have more tools to assist your organisation to advance further. It’s in fact a win-win for you and your personnel. An employee development plan should never be produced off the cuff. Here are 10 actionable steps to assist you in helping your employees and making sure their development plans are well executed. Start the development process not with an eye towards the employee, but with an eye towards the business. Determine long- and short-term company objectives and goals. After you understand where you desire the business to go, you can recognize the abilities and understanding your workers have to make those objectives a truth. Is your company on the edge of growth? You will likely require group members to step into management functions if it is. Desire, Experience, Life and individual scenarios. John may have the abilities and capability to move up into management, however his life scenarios– approaching weddings, planning for hild, caring for senior family members– might make the next 6 months a less than perfect time to step into a brand-new task. This is when the supervisor and employees talk about a development plan. Before presuming what each and every worker wishes to develop, speak with them about their professional objectives. You might discover that some are more than happy in their positions. Frequently, supervisors incorrectly conclude that an effective waiter, for instance, will have simply as much success when she begins handling the other servers. Handling and doing are 2 considerably various abilities, and your workers will typically understand if they’re prepared to take that leap. You can get a total photo of each worker’s advancement goals when you integrate your evaluations from action 2 and the details you collect from talking to your workers. At this moment, it’s time to choose exactly what abilities each staff member requires. You need to consider your organisation objectives, each staff member’s prospective and preparedness, and their determination to take part in the advancement strategy. Both have actually revealed the desire to step into management functions, however if Rachel has the desire to move towards supervisory roles. The employee advancement strategy for each group member would include the abilities essential to prepare them for those management positions. Prior to setting goals for staff members, aim to align their advancement requires with your business’s organisation requirements. Consider your long- and short-term company goals. Do you require among your salesmen to move into a district supervisor function? Does somebody in accounting have to discover how to utilize and carry out a brand-new software application? When you have actually recognized your goals you can recognize the essential abilities, understanding and proficiencies that support those objectives. If your service will be going through a development spurt, you might require extra leaders. What abilities do these leaders require? Do any of your existing staff members have the abilities– or ability and desire to find out the abilities– had to move into these functions? Establishing internal prospects to bridge the space in between present worker capability and capability required for the future would be of excellent worth to the business. Putting effort and time into staff member advancement now can conserve you money and time on training, recruiting and onboarding outsiders. Plus, developing a profession course and showing improvement and promo chances through advancement can assist you maintain leading skill. You ought to likewise ask your staff members to examine their own work and go over any obstacles they’re having in their present position. In what locations do they have a hard time the most? Would they gain from extra training, mentoring or a stretch project? By talking with your workers, you can collaborate to find out exactly what function your company can play in their strategies along with exactly what chances you can provide them. As you evaluate your personnel, it is essential to keep in mind that there’s a distinction in between possible and preparedness. Michael might have the potential to end up being an incredibly star supervisor, however isn’t really yet all set to move into that function. Preparedness comes in a range of kinds, incorporating desire, abilities and experience. Or, he might require 2 to 3 years of gradually more complicated projects in order to master the job management abilities needed in the brand-new function. Not every worker desires to– or need to– move into management, no matter how excellent they are in their present position. Leaders frequently make the error of believing that somebody who is fantastic as a sales representative or widget maker (capacity) will in turn be fantastic at handling the sales group or widget production (preparedness). Handling versus doing are extremely various abilities and pressing a staff member into a task they aren’t prepared for can have disastrous repercussions. Now that you understand exactly what the goals are, it’s time to determine how your worker will obtain their brand-new abilities. Developmental programs do not need to be costly and might take various kinds. Official class training or online courses are just one method to assist your group broaden their skills. Handling pieces of the next task up the ladder is an especially excellent way to prep to take control of the entire task one day. It offers less skilled workers the possibility to grow and find out, and constructs your bench so you can promote from within. Produce a strategy with prompt and particular objectives when you have actually recognized some particular finding out chances. It’s a lot more hard to determine a workers’ development when the goals are unclear, extremely broad or do not have a due date. Next, exactly what is it going to take to put your workers’ strategy into action? Will the staff member requirement to take time away from work? Prior to the training or brand-new project begins, make certain your staff members comprehend why they’re being asked to discover this brand-new ability, exactly what you anticipate them to discover and how this advantages the business and their professions. After training, assist them use their brand-new abilities in the work environment. You’re investing a significant quantity of time and perhaps loan on assisting your staff members enhance their abilities. To obtain your biggest possible roi, your staff members have to have the ability to put those brand-new abilities to operate in your business. Establish some chances where your staff members can rapidly use the brand-new abilities to the task and get feedback. This will assist them enhance and fine-tune their brand-new abilities. They’re most likely to lose it if they do not utilize the brand-new understanding when it’s fresh. Online and regional networking groups. Direct contact with a subject-matter specialist. Stretch tasks and internal jobs are particularly efficient at relieving staff members along the advancement course. Most importantly, they do not overextend the resources your company needs to commit to worker training. It’s at this point that you set particular objectives for the worker to aim towards. It’s really hard to determine your workers’ development and advancement when the goals are unclear or too broad and do not have a target date. It’s at this point that you identify exactly what it’s going to take to put your staff member advancement strategy into action. Will you require to get outdoors specialists or other staff members included? The staff member’s development and advancement isn’t really completed when the training concludes. Set up chances for the worker to put his newly-developed abilities to utilize on the task. This will assist your staff member fine-tune and reinforce his abilities prior to he forgets exactly what he discovered. It’s time to get to work as soon as you have your worker advancement strategy laid out on paper. 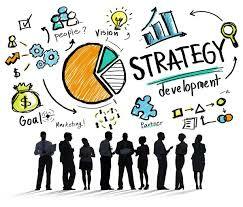 Rather of executing each and every strategy at the exact same time, begin with a couple of staff members. Doing excessive too rapidly is the extremely meaning of overextending. After the very first strategies remain in location and humming along perfectly, you can turn your focus on a couple of more. You and your group members will be better and much better able to manage the brand-new procedure when you take staff member advancement in little actions (at least at very first). Producing an advancement program not just assists you make your labor force more well-informed and efficient, however you can likewise enhance staff member complete satisfaction. When your workers more than happy, they’re less most likely to go trying to find work somewhere else. Do you have any ideas for your employee development plan? Share with us in the comments.